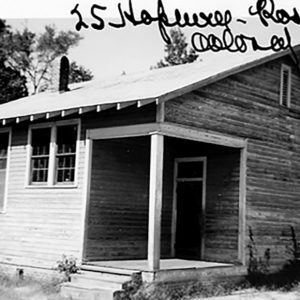 Built in 1926, Hopewell is the only Rosenwald School remaining in McCormick County. Hopewell greatly impacted the education of rural McCormick County’s African American students from 1927 to 1954. By 1954, Hopewell’s enrollment dropped to only nine students as many of the African American families left the area for better opportunities. The school was then left for the benefit and use of the community. African American schools, especially in rural counties such as McCormick, were extremely important in the education they provided, the safe environment they gave, and the belief that if students studied and did their best, they could improve their lives.